Written by Colleen Sedgwick on June 28, 2014 . Posted in Clients. You may be wondering what a “Marketing Power Wheel” is? Well, picture a pie cut into 8 pieces. Each piece of the pie represents a marketing strategy you are systematically implementing to attract new pet sitting clients. One of those slices should be your ezine. In case you’re unsure of what a pet sitting ezine is, it’s your newsletter that you send out electronically via email to your list of email subscribers at least once per month. I’m sure you’re thinking that this is a tedious and time-intensive undertaking, which it most certainly can be, but what you must understand is the importance of staying in touch with your clients on a regular basis. Most businesses take for granted that a client will remember them or call them when they’re in need of pet care. This is far from the truth. I can tell you that when I’m chatting with someone about my career and they say, “oh, I use a pet sitter!” which I then ask them, “who do you use?” nine times out of ten they can’t tell me the business name or the name of the person who came into their home. It’s crazy to me, but it’s the honest truth. I was given a great example of this once by a past mentor of mine who had bought 8 different houses. Each time he bought a new home he used a different mortgage broker and not because of anything they did wrong, but simply because not one of them had kept in touch with him and he had no idea what their names were or how to find them, so he just moved onto a new broker. Think about how much money that first broker could have made from this client if he had just kept in touch. 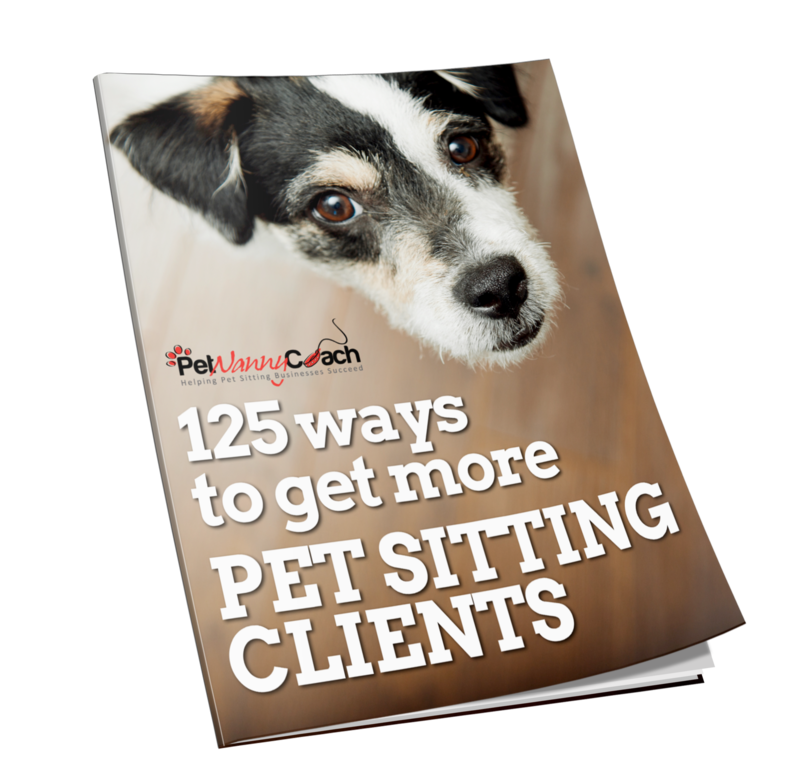 You hear me talk a lot about the importance of relationship building with your customers and your pet sitting ezine is one of the ways you will be able to do this. So, what should you ezine include? Your logo and branding colors. A personal note with a picture of you.This is super important for the larger business owners who are not doing the actual pet sitting or dog walking visits because it allows your customers to see you and get to know you rather than being some unknown person for whom they never have any contact with. An educational article. There are a million and one pet-related topics that you can write about, so don’t stress about that. Just remember, that you want to provide your clients with added value and also position yourself as a pet-care expert, so think about what you would want to read about as a pet owner. You could also include an additional section which could be a pet video, a business announcement, pet of the month, promo of the month or a testimonial from a happy client. Your options are endless. Choose something that fits your personality. Choose a company you will use to distribute your ezine. There are many good ones to choose from, all at different price points based on their functionality. I use Infusionsoft and I can’t say enough good things about them, but it’s an expensive system to use. If you’re just starting out there are less expensive options. Mailchimp is FREE for up to 2000 subscribers. There is also Constant Contact, iContact, AWeber, ActiveCampaign and GetResponse to name a few. Design a newsletter/ezine template that you will use each week. It should include your logo and branding colors. Gather all of the email addresses of past clients and current clients, along with their first names and input them into an Excel Spreadsheet, so you can easily upload them to your email program. Upload your email addresses to your email program. TIP: You never want to email anyone without their explicit permission, so be sure to ask permission before you start sending out your ezine. A great idea to get an “opt-in” is to offer something of value in return for their permission to email them. Perhaps a coupon to your pet sitting service or an eBook you’ve written regarding pet care tips. After people have opted-in they will be added to your “e-subscription” list. This is the list of people that you will email each and EVERY month. Moving forward you will want to add a blurb to your Welcome Packet that you send your customers valuable content, business news, scheduling notifications and special offers via email. Next week I’ll share some more tips for creating your ezines, so stay tuned!